Transfers In. 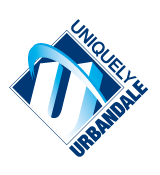 A student transferring into the Urbandale Community School District from another district, from a nonpublic school, or from competent private instruction will be assigned for grade placement according to recommendations from the district or school from which the student has transferred; however, the Urbandale Community School District reserves the right to evaluate each student individually and make placements accordingly. Transfers Out. A student planning to transfer out of the District should notify the principal or his/her designee prior to departure. Students should make arrangements to return any school property in their possession prior to leaving the District. Student records will be sent to the new district upon receipt of a request signed by the student’s parent or guardian if the student is under eighteen years of age, or upon receipt of a request by the student if the student is eighteen years of age or older, or upon receipt of a request from the new district.